New Jersey lawmakers have approved a bill that aims to punish billionaire Carl Icahn for shutting down his Trump Taj Mahal casino in Atlantic City. The legislative assembly voted 60-17 to approve the bill which places a five-year suspension on the operation of a casino license for closing a casino after January 2016. The specified date implies that it would be applicable only on Icahn since the four casinos that have so far been shut down in Atlantic City closed in 2014. The bill will now go to Gov. Chris Christie for final approval. He has so far not indicated if he supports the move. The legislative measure was first presented in October and cleared by the senate. Democratic Senate President Steve Sweeney introduced the bill with the intention to block any attempt by casino owners to close down a facility and then sit on their license for years. At the end of the day, this is designed to be a carrot, not a stick, by encouraging casino owners to remain open, rather than allowing them (to) hold onto their license while they shut down and leave thousands of working-class folks without a job. According to Burzichelli, the bill ensured that the licensing system wasn’t manipulated by casino operators. Union president Bob McDevitt, of Local 54 of Unite-HERE said that the bill made it clear that the 1976 referendum that legalized casino gambling intended creation of jobs with good benefits as well. The Trump Taj Mahal casino was shut down in October after its workers went on a strike for three months. Union workers went on strike after contract negotiations failed over restoration of health benefits to the workers which had been withdrawn by the previous owner while in bankruptcy. The closure resulted in loss of over 3,000 jobs. Although Icahn hasn’t yet reacted, at the time of the bill’s introduction he had stated that it was unconstitutional and would discourage investments into Atlantic City. He also pointed out that it would make it nearly impossible for him to reopen the casino in future if he wanted to. According to the terms of the bill, if the casino owner enters into an agreement with the union and reopens, the license suspension would be rescinded. 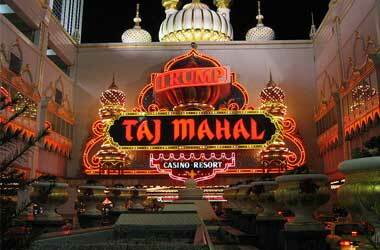 Icahn had taken Trump Taj Mahal out of bankruptcy for $292 million in 2015. He had promised investment up to $100 million to revitalize the casino.